Ombré is ALL the rage these days… From hair to scarves to fingernails to clothing… Everybody is scrambling for that gentle transition of color that IS ombré. Figure out how much you’ll need for your WHOLE project, then make it into a little roving chain. ChemKnits has a great how-to video for making this. Make sure your chain is a little loose so the dye can get all in-between the “links” in your chain. 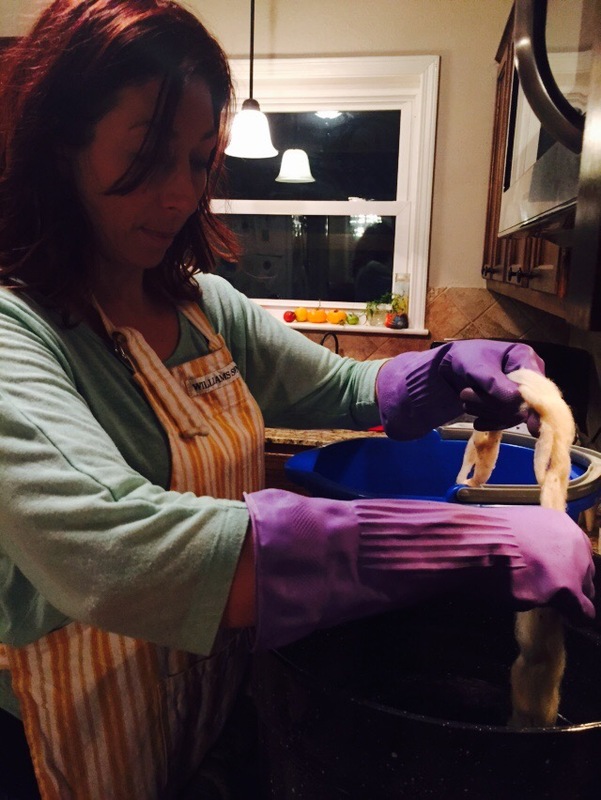 Step 2: Soak your roving chain in warm vinegar water for about 30 minutes… Or however long it takes to get fully saturated. Use about 1/4 c. vinegar per gallon of water. You’ll know it’s ready when it all sinks down and stays under the water, and the color will be uniformly “wet” throughout the chain. 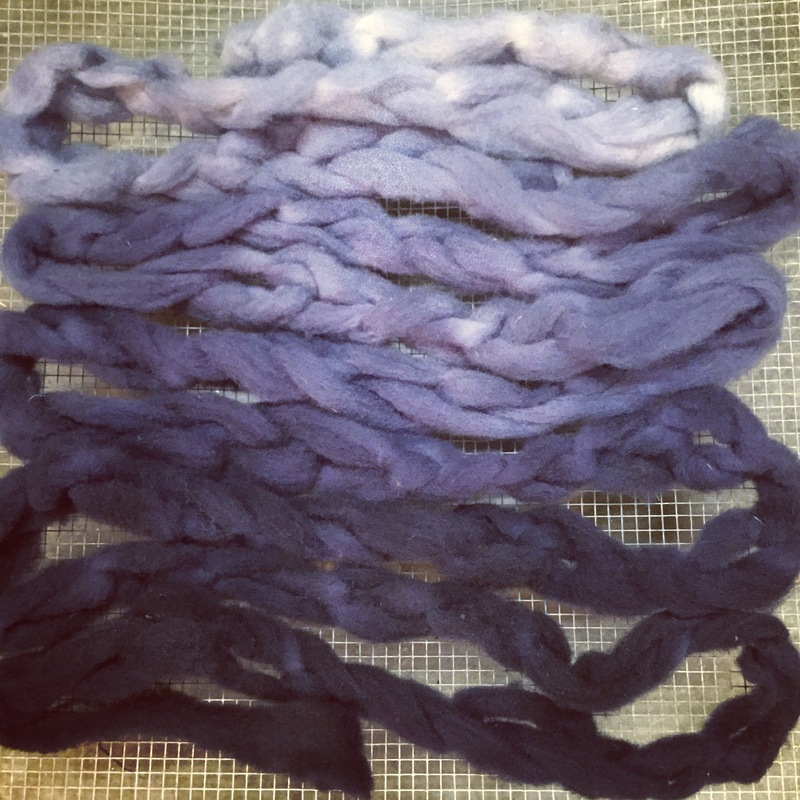 Drain out most of the water, but keep your roving very damp, but not dripping wet as you prepare your dye bath. I put mine in a bucket with just enough water to keep it all wet. 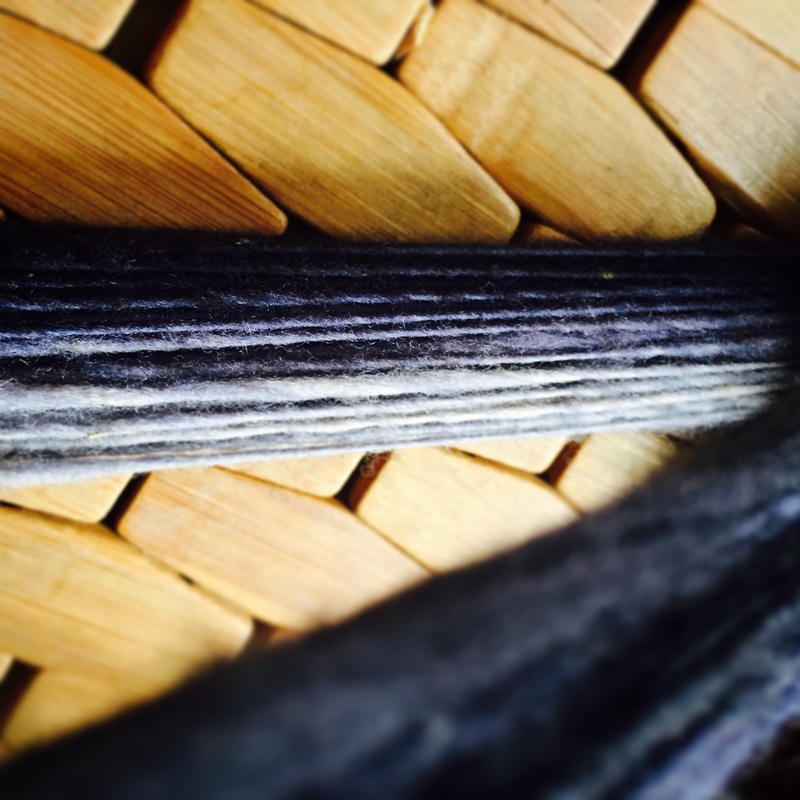 You’ll want it in a container that you can put next to your dye pot as you are dipping your roving into it. Step 3: Fill your dye pot with enough water to cover your roving and allow some wiggle room, then add in a few extra inches. You want the wool to be able to move around in the water as you dip it. Add about 6T of vinegar per 50 grams of fiber. Heat up the water until is is steamy. While the water is heating up, mix up your dye solution in a cup of water with a Tablespoon or so of vinegar. That is about 1/8 t. of dye powder for 50 grams of fiber. You could multiply this amount of total dye for every 50 grams of fiber you are using to get the amount you would need. Food Coloring: This varies depending on the type and color… but a good starting point would be about 1/8 t. paste coloring OR 15 drops liquid food coloring per 50 grams of fiber. No matter which dye you are using, you should always test the color on a paper towel before you add it to the pot… then add more or less dye to get the color saturation you want. Once you have it where you want it, dump it into the hot dye pot water. 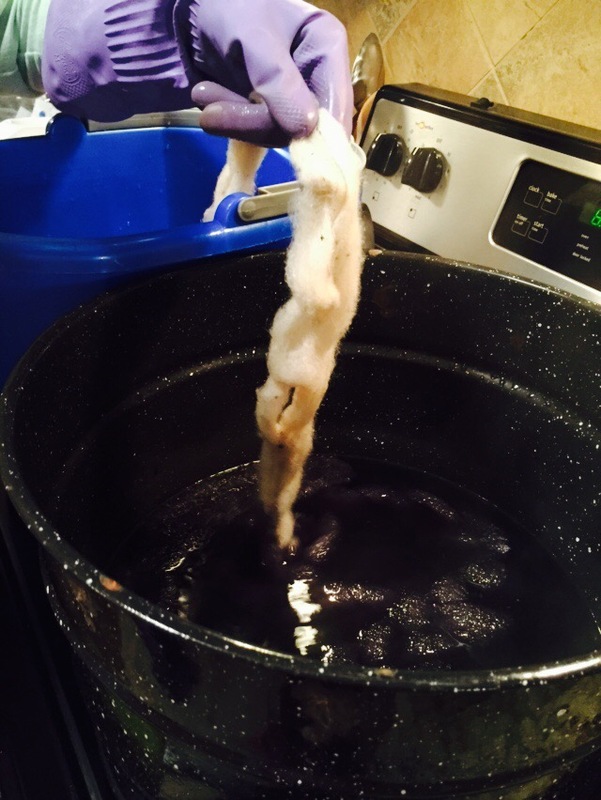 Step 4: The FUN part… and sorta scary part… DYE THAT WOOL! Bring your bucket of damp/wet wool over next to your dye pot. 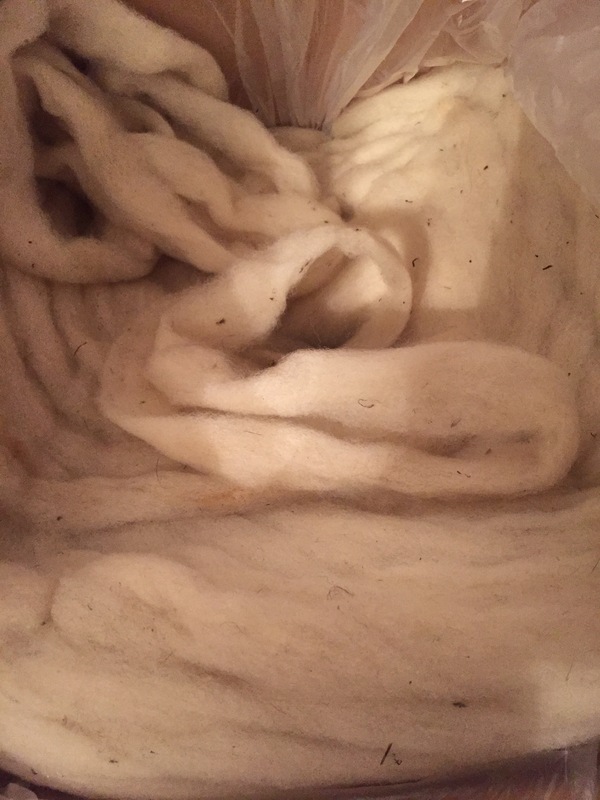 It needs to be close so you can keep all your waiting wool wet, but still transfer it over without getting the kitchen all wet. As you see in the pics, my waiting bucket is just sitting on the counter next to the stove. 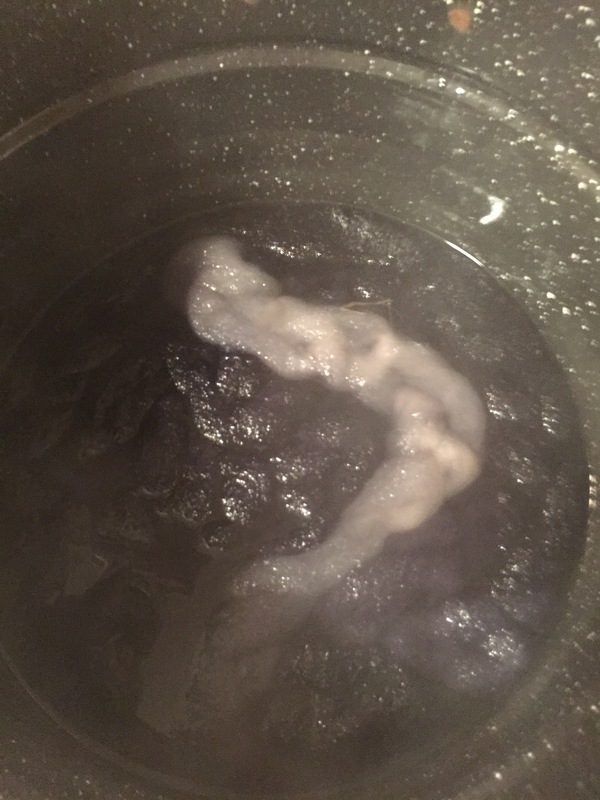 You want to keep your dye bath steamy hot, but not boiling, so keep an eye on it while you dip your wool. See how the last bit is almost totally white? That’s what you are going for… almost all the dye has been exhausted (soaked up) and the water is basically clear. You can see the ombre effect is fully evident in the lighter half of the yarn. This was a small 50 gram section of yarn, so if you are making enough for a scarf or a shawl… your color change will be more gradual along your spool as you spin. 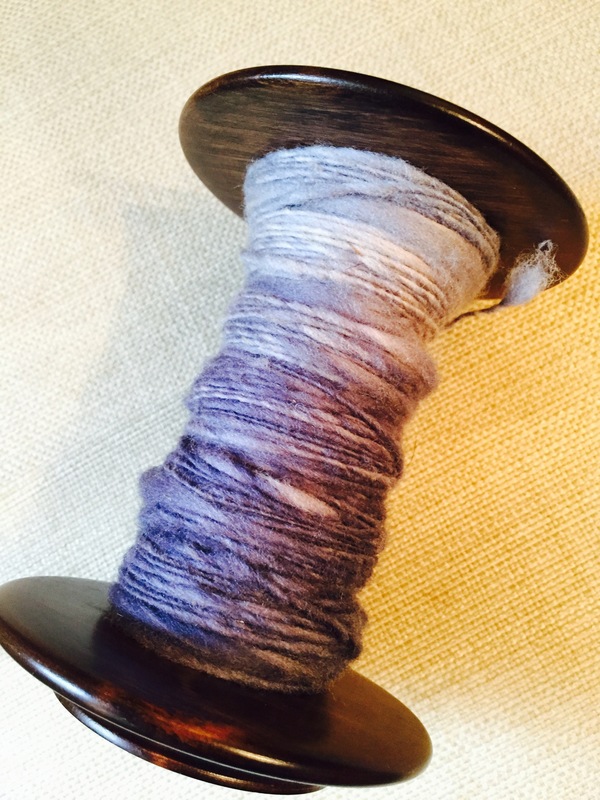 If you are too nervous to try a large amount of fiber at first, just start small like I did… make a mini-skein to see if you like the color you get, then multiply out your dye and fiber to get the final amount you want to make. This mini-skein is actually a great way to get a stitch gauge and know how much yarn you will need to make for the project you have in mind. 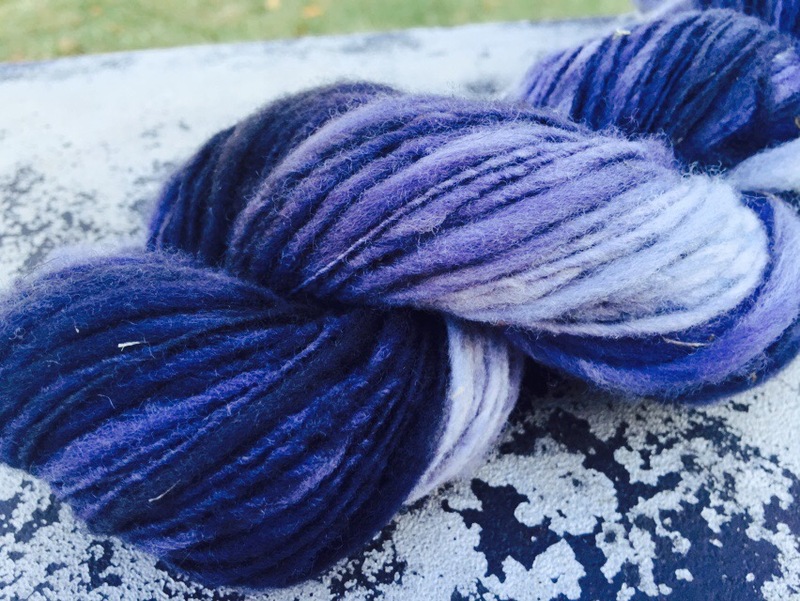 Have fun making your own Ombre Yarn. Let me know how it turns out for you!! Previous Fall is Here… how about a FREE Earmuff Pattern! Next The universe gave me this Aura Shield essential oil blend, now it’s yours too! I am so looking forward to trying this technique this weekend! 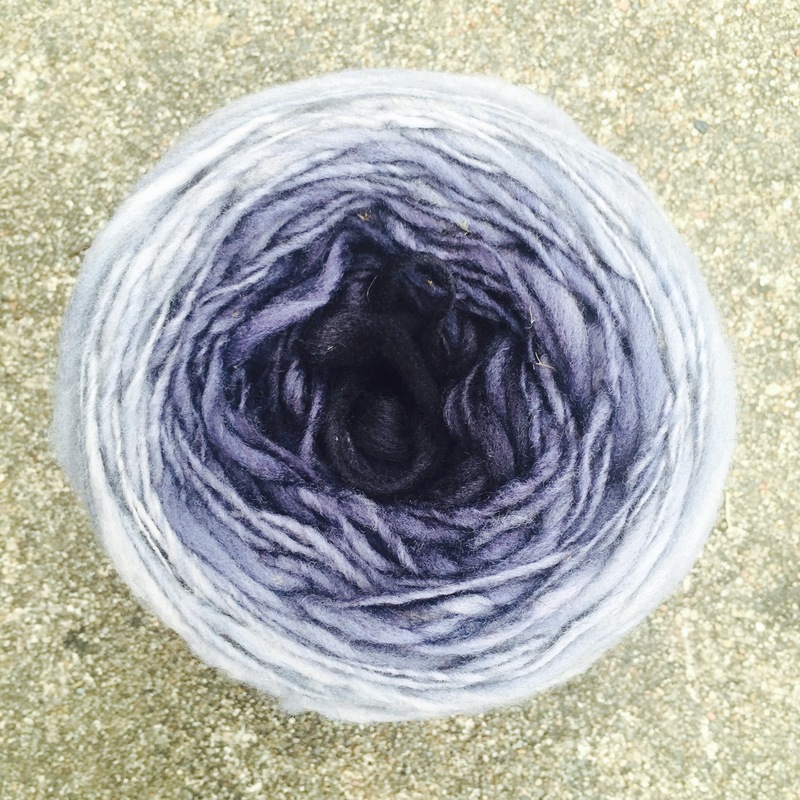 Your demo roving and yarn look fantastic! 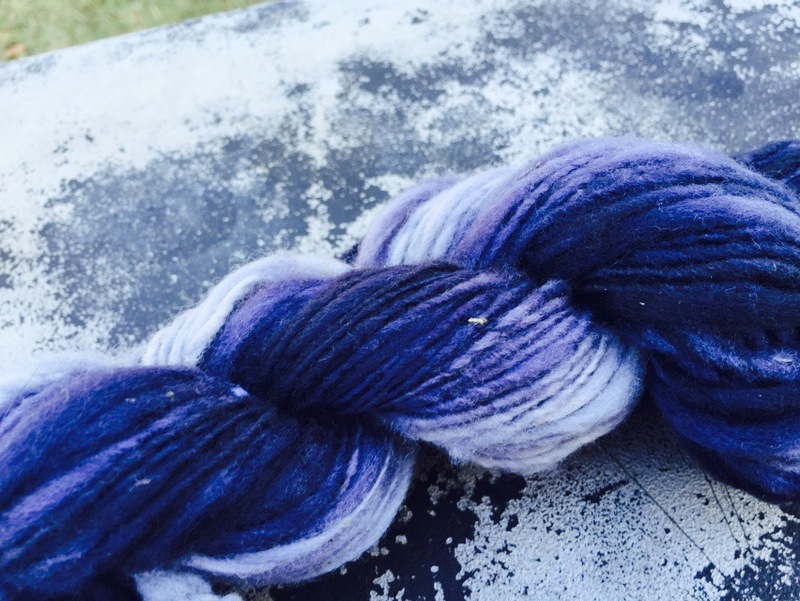 Did a purplish blue on gray merino and pink on a white merino blend this weekend. Not sure how to post pix, but they look great and will be fin to spin, ply, and knit into boomerang shawls.